Uptown Update: Carol's Sets The Date! Are you ready to kick it, old-Uptown-style? 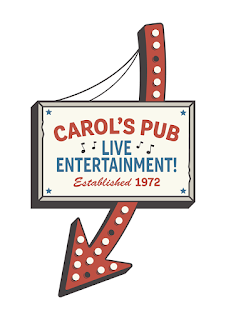 Get your best dive bar duds ready, because Carol's Pub is coming back in just a couple of weeks! They just announced a night with Diamondback (who else?) on Friday, December 21st, starting at 9:30pm and ending at 3:30am. The official opening date is Thursday, December 20th. As the Faceback event page says, "Yes, folks, it's finally happening! Mark your calendars and put on your dancing shoes. See you at the new Carol's Pub!"